Happy to ride in tubojet. Fast and safe. In just 1hour we reach our destination. 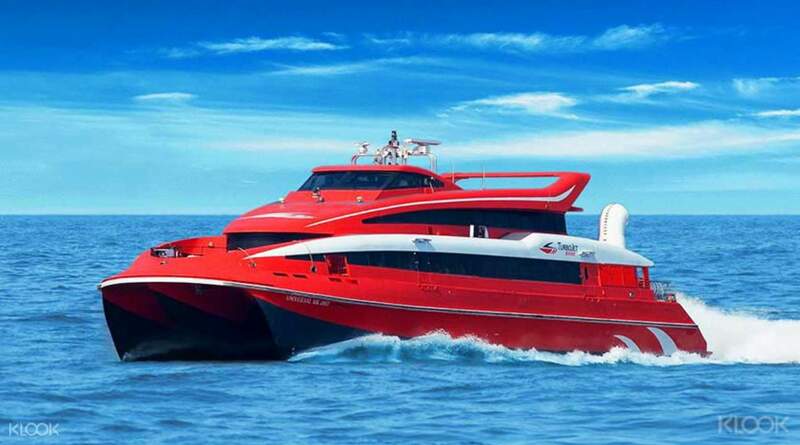 Embark on your trip to Macau with the utmost ease on a TurboJet ferry service, transporting you between Hong Kong or Kowloon and Macau city within an hour, 24 hours a day! Simply show your e-ticket at the TurboJet counter at either Hong Kong or Kowloon ferry terminals and you're on your way. With your spot reserved in advance, you don't need to worry about ferries being full. Offering services every 5-15 minutes (before midnight), this is one of the speediest ways to get to Macau. With over 50 years of experience, the modern TurboJet fleet safely transports over 10 million passengers a year. Enjoy the convenience of booking in advance (a must-do in at peak times!) then relax as you make the crossing in cushioned and spacious comfort. Much lower price as compared to buying at the counter itself! Able to choose any timing to depart from Hong Kong to Macau itself even if you already selected a time before and want to change! Totally flexible! Much lower price as compared to buying at the counter itself! Able to choose any timing to depart from Hong Kong to Macau itself even if you already selected a time before and want to change! Totally flexible! Turbojet ferries from Hongkong to Macau & back are very comfortable, spacious and fast. Boarding / disembarking is also very systematic and quick. There is ferry every 30 minutes and anytime you can get it. 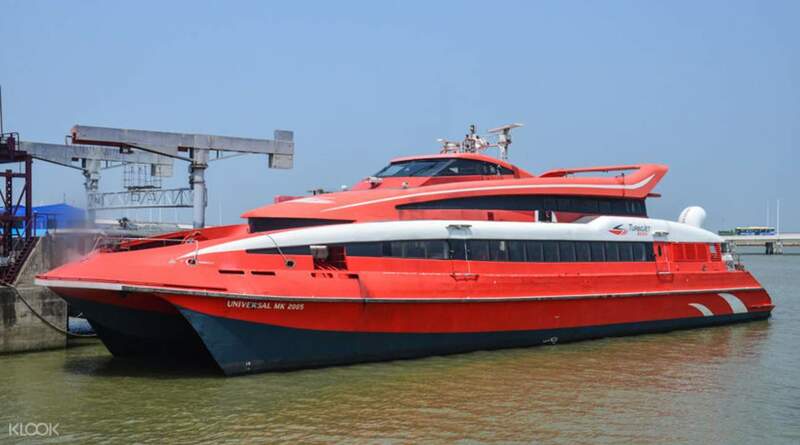 Turbojet ferries from Hongkong to Macau & back are very comfortable, spacious and fast. Boarding / disembarking is also very systematic and quick. There is ferry every 30 minutes and anytime you can get it. Great experience with klook. Cheaper price of ticket when buy from klook compare with buy on the spot. Easy and very fast to redeem the tickets. Some even with bar code only. Will come to buy tickets from klook in the future. Recommended for those to buy tickets. Well done and Good job to klook for gave me a great trip!!!! Great experience with klook. Cheaper price of ticket when buy from klook compare with buy on the spot. Easy and very fast to redeem the tickets. Some even with bar code only. Will come to buy tickets from klook in the future. Recommended for those to buy tickets. Well done and Good job to klook for gave me a great trip!!!! Very easy. Just show qr code on Klook app at the counter then you will get the real ferry ticket. And the great thing is you can departure by the early round faster than your booking round (Wait at the gate). Very easy. Just show qr code on Klook app at the counter then you will get the real ferry ticket. And the great thing is you can departure by the early round faster than your booking round (Wait at the gate). All of the casino hotels have shuttles bound to and from the Ferry Terminal! Make the most out of it too! For the trip, it was fast and smooth sailing!! I’d recommend Turbo Jet to my friends!! Thanks for this promo! All of the casino hotels have shuttles bound to and from the Ferry Terminal! Make the most out of it too! For the trip, it was fast and smooth sailing!! I’d recommend Turbo Jet to my friends!! Thanks for this promo! this was excellent, they have good seat, Aircon was okay, staff was friendly and super helpful. eventhough price might seem high, it was worthy because the trip was smooth and easy.Remember to be early and everything will be fine. this was excellent, they have good seat, Aircon was okay, staff was friendly and super helpful. eventhough price might seem high, it was worthy because the trip was smooth and easy.Remember to be early and everything will be fine. The redemption was fast and easy! The ferry is clean, the staff is friendly and helpful. Macau is a nice city for photo taking. The town around got good and cheap food. But the food at city of dream food court is expensive and not tasty. The redemption was fast and easy! The ferry is clean, the staff is friendly and helpful. Macau is a nice city for photo taking. The town around got good and cheap food. But the food at city of dream food court is expensive and not tasty.